Why Try Gluten and Casein Free? But prior to ending up in the health food store or the gluten-free aisle, you need to feel motivated enough to make the trip there. So, why try the gluten and casein free diet? Let’s start with some science. What is gluten and casein, and why avoid it? The GFCF diet stands for “gluten free and casein free” diet. (Occasionally, you will see GFCFSF diet, the “SF” standing for “soy free”. My boys definitely benefited from being soy free, but because the GFCF diet is more well known, I will be focusing specifically on the gluten and casein. FYI, the protein in soy is structurally similar to the gluten and casein proteins, which is why there is a high probability that your child will also react to soy) Gluten is a food protein that’s found in wheat, rye, barley, and similar grains. Oats, because of cross-contamination, are also considered to contain gluten. Casein is the protein that’s found in all dairy: cow’s milk, goat’s milk, even human milk. How does gluten and casein affect our children then, causing such a havoc of symptoms? Simply put, our children with ASD do not have a normally functioning gut. When we have healthy gut flora (the microorganisms that keep our gut healthy and help us digest our food and absorb nutrients, among other things), it protects our gut from toxins and bad bacteria, things that we encounter daily. When we do not have a healthy gut flora, when bad bacteria, yeast, and viruses have taken control of our gut and when beneficial bacteria are in short supply, our digestive system cannot function efficiently. “The digestion of milk and wheat proteins … happens in two stages. The first stage occurs in the stomach where, under the influence of digestive juices produced by the stomach walls, milk and wheat proteins get split into peptides, some of which have morphine-like structures called casomorphines and gluteomorphines (or gliadinomorphines). It is a normal process and happens in all of us. Then these peptides move to the small intestine where the next stage of their digestion happens. They get subjected to pancreatic juices and then reach the intestinal wall where they are broken down by enzymes, called peptidases, on the microvilli of enterocytes. This is the stage which is missing in people with abnormal gut flora because of the poor state of their enterocytes. As a result casomorphines and gluteomorphines get absorbed into the bloodstream unchanged and cause problems in the body, in particular interference with brain function and immune system function. There has been a considerable amount of research in this area in patients with autism, schizophrenia, ADHD, psychosis, depression and auto-immunity, who show high levels of casomorphines and gluteomorphines in their bodies, which means that their gut wall is in no fit state to complete appropriate digestion of these substances.” – Gut and Psychology Syndrome, page 21. What would you look like if you ingested or were injected with large amounts of morphine? Would you perhaps be nonresponsive, “stoned”? Would you feel no pain? Would you be clumsy? And if your drug was taken away, would you have withdrawal symptoms? When you think of some of the symptoms of autism and ADHD, they interestingly do coincide with symptoms of being drugged. My youngest son’s forehead was a constant bruise from about 8 months of age (when he began walking) until 2 or so. He would run, fall into walls, leave a HOLE in the wall and a knot on his forehead, and get up and run again, never crying or seeming to feel pain at all. He was also drinking ridiculous amounts of milk at that time. When we removed milk from his diet, and then a few weeks later, removed gluten, he went through “withdrawal” symptoms. He would climb shelves, dig through closets, do ANYTHING to try to find something with gluten or dairy (especially gluten at that time). I swear he had a nose better than a bloodhound. Once he even ate dog food, which was full of gluten, and for the next few weeks had horrible diarrhea, eventually ending him in the ER because his gut was so inflamed that he had a large mass in his abdomen near his appendix. Removing dairy and gluten from your child’s diet may not initially be a good time. But stick with it! Improvements come after the withdrawal period. For my boys, going GFCFSF was one of the best things we could have done for them. My oldest went GFCFSF in April 2010 after he received his diagnosis of autism. Within a week, he had his first formed stool in months (in over a year, actually). Within a month he started to interact with people more and pay attention during therapy. His vocabulary increased, he put 3 words together (“ready, set, go”) and four months into the diet he said “mama” again. About 2 months into the diet, I wondered just how much it was really helping his behavior. That was around the time he grabbed a little gluten filled cereal puff from a friend and ate it before I could stop him. That week, he screamed pretty much non-stop and the diarrhea was back. This convinced us that the diet was working for him, and we’ve never looked back. As I mentioned, our youngest son was a dairy addict. As a baby, he started with eczema at around 3 months of age. His sleep was TERRIBLE. At 8 months of age, he was still waking up every 45 minutes at night to nurse. (Looking back, we believe he was likely having reflux, but with his high pain tolerance, wasn’t showing the symptoms of pain. Instead, he just soothed himself by nursing) He was horribly constipated, had bright red cheeks and ears (signs of a food allergy), and had the other symptoms mentioned above. Removing dairy at around 18 months of age led to horrible diarrhea, which led us to remove gluten as well. His diarrhea did improve after removing gluten. With time, we noticed that he would have various skin rashes and hives, and this led us to removing a number of different foods that he was allergic and sensitive to, including nuts. By the time we started the GAPS diet in February of 2013, he had developed sensitivities to all nuts, coconut, lemons, certain veggies, corn, eggs, and almost all of the gluten-free grains. For him, the GFCF diet along with removing other food intolerances improved his constipation/diarrhea. Behaviorally, GAPS has been the biggest benefit to him. He has a lot of difficulty focusing and staying on task, is constantly in motion, talks nonstop, is very emotionally up and down, and had HUGE reactions to sugar, even natural sugars found in some fruit. Maple syrup makes him crazy. On the GAPS diet, limiting the amount of even natural sugars that he gets, leads to huge gains in behavior. As an added bonus, he now can eat all nuts including coconut, eggs, lemons, and even tolerates small amounts of homemade goat milk yogurt. So, you’ve decided to try to go gluten and casein free. How do you do it? The recommendation is to go slowly. First remove either gluten OR casein by slowly replacing your child’s favorite foods with a gluten-free or casein-free version of a similar food. After they have adjusted to the change (a week or longer, depending on your child), try to slowly eliminate the other food protein (gluten or casein). I didn’t know that this was the recommendation when we first went GFCF with our oldest son, so we learned about the diet one day, and then the next day I threw out all our old food and went to the store and we were gluten and casein free, cold turkey. Fortunately, he didn’t have too hard of a time making the transition. This is not the recommended way to change your diet. When you go the store, what exactly are you looking for? How do you know if something is gluten or dairy free? The best way to shop (for anyone, any diet) is to try to stay around the perimeter of the store, where the fresh meat, fruits and veggies are. 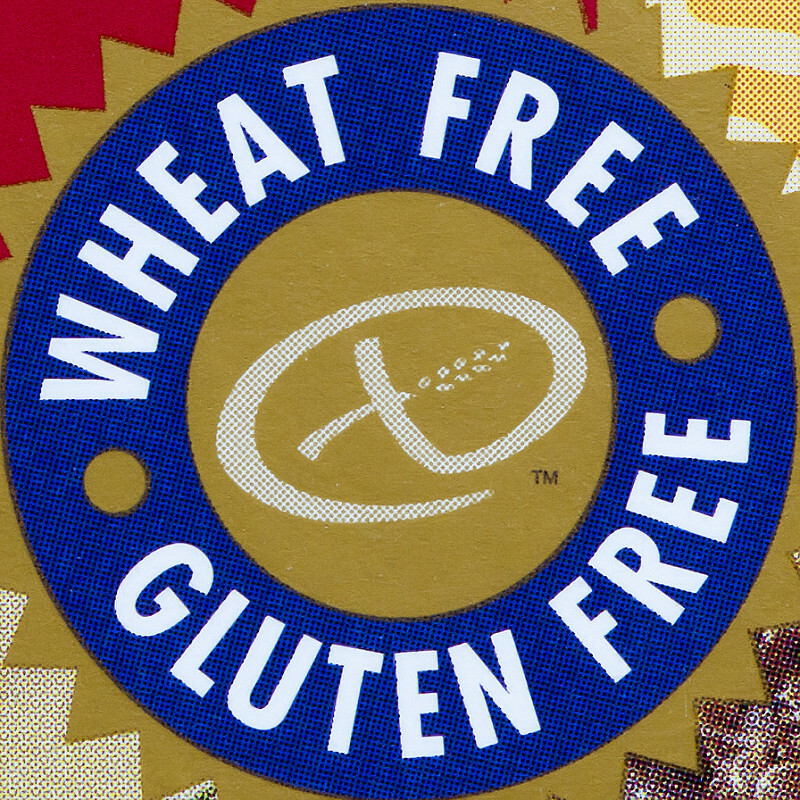 Meat, eggs, whole fruits and vegetables are naturally gluten and dairy free. One caution: you do want to check your meat, especially chicken, turkey, and ham, for added ingredients. Some chickens are infused with a broth solution which may contain gluten. Hams are also cured using various different ingredients, so you do want to check labels on those items. When it comes to processed goods, label reading is essential. One mom states that she checks labels three times: once when she buys the item, once when she puts it away in the cupboard, and once before she uses it. This may seem extreme (her children had anaphylactic food allergies, so it meant life or death to them), but when you see the extreme physical and behavioral reactions that your children may experience from accidentally ingesting gluten or dairy, you may feel that this kind of diligent label reading is not too extreme. The above article with the list of GFCF “unacceptable” ingredients may seem a bit overwhelming. It sounds really easy to take out “wheat” and “milk”, but what we don’t initially realize is how many foods contain these proteins (especially gluten) in tiny amounts. What I did when we first started on the GFCF diet was print out the list of these “unacceptable” ingredients from the link listed above. Then I went shopping when my husband was home to watch the boys. The first few times it took a LONG time to get groceries, as every ingredient was compared to my list. But with time, I learned what was acceptable and unacceptable. I continue to always check labels, because products that were once OK can change their ingredients and become not OK. Currently, most of what we eat is fresh and not processed, so shopping is done very quickly (no need to check what ingredients are in an organic avocado!) Eventually trying to steer to a more whole foods way of eating GFCF is the ultimate goal. Initially, though, if your kid loves mac and cheese and chicken nuggets, he will likely adjust to being gluten and dairy free much easier if he has similar foods in taste and appearance. The important thing is making that change away from gluten and dairy filled foods. If you are local here (around the Rockford, IL area), there are a few places where you can go to get foods appropriate for your new diet. Woodmans has a large natural section now, including a freezer section and an organic section. Choices on Riverside offers gluten and dairy free food options. We drive up to Basics Coop in Janesville, WI, once a month when they offer 15% off everything in the store. In the suburbs, there is Whole Foods and Trader Joes (we also like the Whole Foods in Madison, WI). Also, don’t forget your local farmers markets! Summer is a great time to get fresh, local produce for a reasonable price. If you do happen to be local, and the whole shopping experience feels overwhelming, I do offer to help you shop and read labels (see Products & Services page). This can help you to make the transition to your new way of eating. One final thought: You CAN do it! Picture what goals you want for your child’s health (less tummy trouble, less self-injurious behavior, more smiles, more language) and work toward that. It is possible.